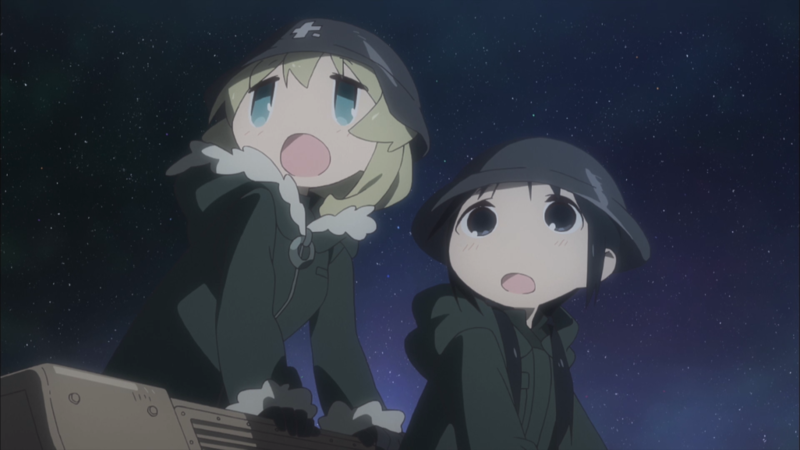 Unlike the leading ladies of Shoujo Shuumatsu Ryokou, I probably would not survive the apocalypse. It first assumes that I’d make it through whatever horrible catastrophe would befall humanity, and I would just-so-happen to be lucky enough to have a fighting chance. But then my prospects would reach zilch real quick when most everything else has disappeared: life’s pleasures, family, some semblance of health. I wouldn’t know what to do with myself, and I’m sure my mental state would degrade as hopelessness sets in. However, after finishing this anime and seeing the ways in which these girls approach such a world, I’ve learned that there may yet be optimism left to cling onto.